Newspapers reporting on court cases are not responsible for the accuracy of information heard in court – their responsibility is to report what is heard accurately, the Independent Press Standards Organisation has held. It rejected complaints from Sam Phelps that the Edinburgh Evening News breached clauses 1 and 2 of the Editors’ Code of Practice, covering accuracy and privacy, with an article headlined “Suspended cop stalked ex partner”, published on February 5. Similar complaints by Mr Phelps against the Scottish Sun, which ran a story headlined “Nut cop victim’s Noel gig torment” were also rejected. The stories reported Mr Phelps’s conviction and sentencing, saying he had been banned from going near his ex-girlfriend for two years after “stalking” her when she broke up with him. They he had “harassed” her by “turning up at her home and sending her unwanted e-mails, letters and social media messages”, that she had fled a Noel Gallagher gig in Glasgow because she “‘did not feel safe'”, and that he subsequently tried to contact her repeatedly, and turned up at a relative’s house to find her. It said Mr Phelps was convicted of causing fear and alarm by sending e-mails, messages, phone calls and texts, and by sending letters to his ex-girlfriend at her home address. Mr Phelps said that the article breached clause 1, on accuracy, by giving a one-sided account of the information heard in court: it had not reported his evidence at all, and breached clause 2 by including a photograph of him which was not available through social media or online; it was a personal photograph which he had not given consent to be used, and by including his full name and where he lived. The newspapers said that, following a conviction, it was not obliged to carry details of Mr Phelps’ defence – the story was based on the verdict of the Sheriff who heard the case and came to a guilty verdict – this was reflected in the weight given to the prosecution case in the article, which had included a detailed summary of the Sheriff’s comments. The newspapers said there was a public interest in disclosing Mr Phelps’ conviction and identity, including details of his home address and his photograph. The photograph – the source of which it could not reveal in line with its obligations towards confidential sources – did not reveal anything of a private nature about Mr Phelps, and there was a public interest in identifying him as a perpetrator of crime. 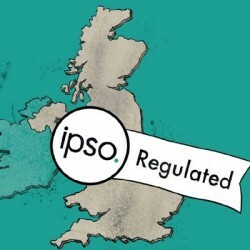 Ipso’s complaints committee said that where the court had handed down a conviction for causing fear and alarm, and the judge had passed sentence, on the basis of the woman’s account, it was not misleading for the publications to report largely on the woman’s account, and to adopt aspects of this as fact. Mr Phelps disputed certain aspects of the woman’s account – but publications were not responsible for the accuracy of information heard in court; their responsibility was to report accurately on what is heard. Omitting his position, in a report of his sentencing, was not misleading. On the privacy issue, the committee noted that the publications’ obligations under clause 14, covering confidential source, meant that they could not divulge the source of the photograph. But there was nothing to suggest that it was obtained in such circumstances as would raise a breach of Clause 2, and Mr Phelps had said that he had willingly shared it with at least one other person. The photograph did not reveal any private information about Mr Phelps, did not show him doing anything of a private nature, and there was is a public interest in identifying offenders. Naming him and giving his partial address, where this information were made public in court, did not raise a breach of Clause 2. I think we have all been through this one. Barrister unwittingly presents wrong information and paper gets blamed. Usually a letter of explanation suffices. But you had better have a damned good shorthand note. Hope the adjudication was published in the paper! Some take the view publication it is rubbing salt into the wound but the wound is self-inflicted – so tough. A woman once publicly raged at me in the front office because the paper had printed part of a letter she wrote to the court trying to excuse the nasty, yobbish actions of her 18-year-old son. “And you printed exactly what I wrote” she ranted. “You couldn’t even be bothered to make up your own words”. Idle Rich. You couldn’t make it up.